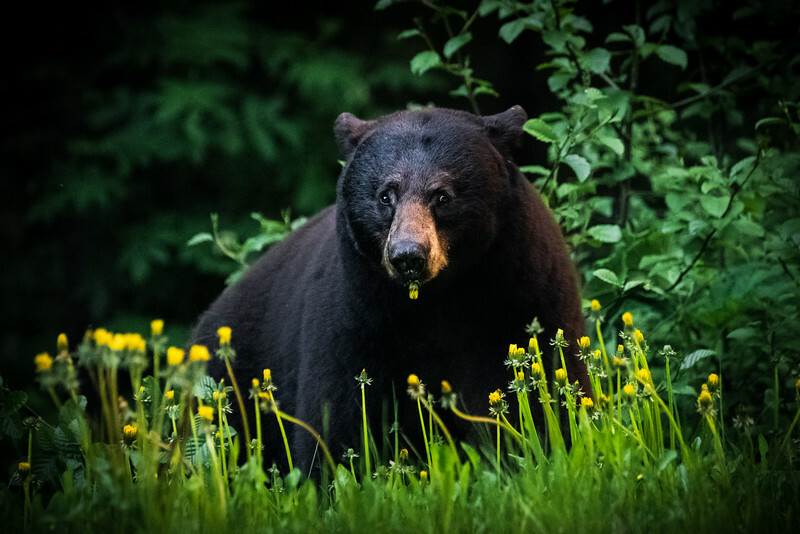 A collection of my best wildlife photography from the Pacific Northwest to the wilds of Alaska. 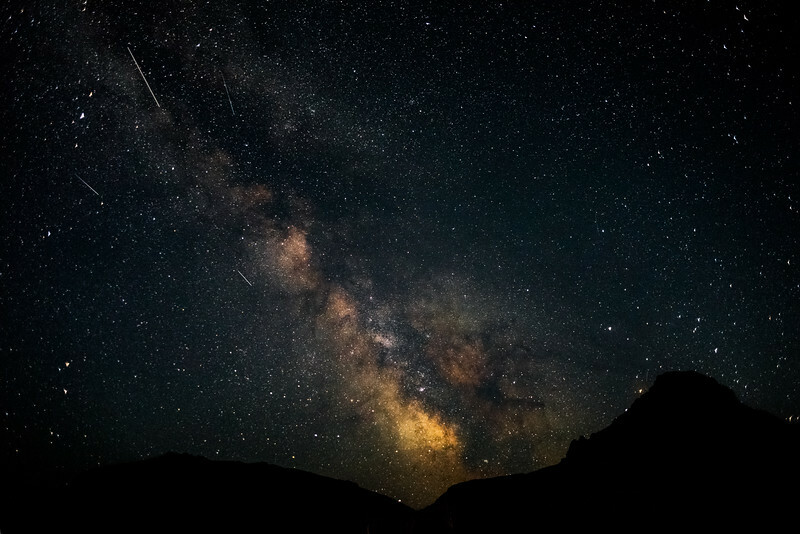 Printed by Bay Photo Labs of California, these prints are sure to give a little bit of adventure to your home or business. 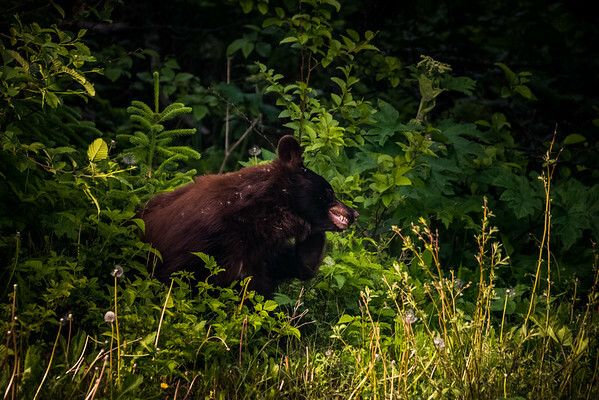 A Black Bear enjoys a flower salad appetizer before the main course near Juneau, Alaska. 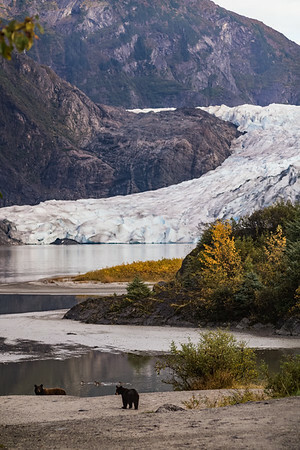 A female Black Bear and her cubs fish along the shore of Mendenhall Lake near Juneau Alaska. 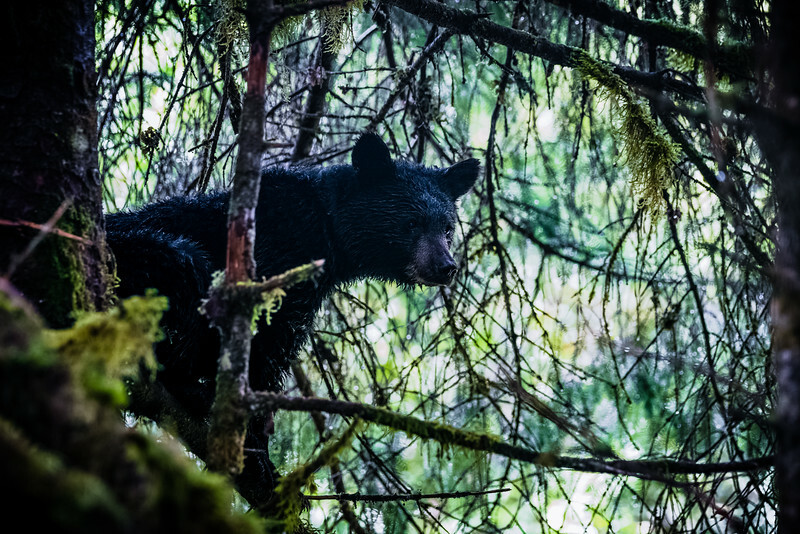 A Black Bear cub sits in a tree waiting for his mother, near Juneau Alaska. She did not appear to return to him after many hours. 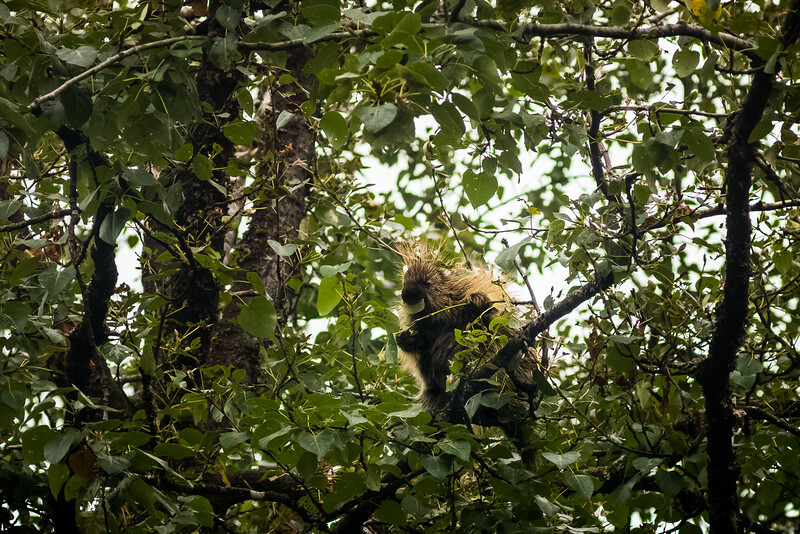 After several weeks he was spotted near the tree, surviving on his own. 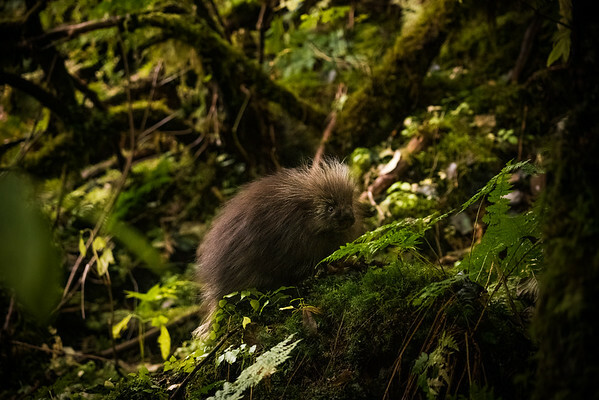 A young Porcupine basks in a ray of sun in the rain forests near Juneau, Alaska. 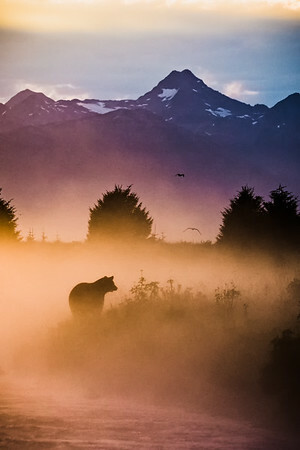 An Alaskan Porcupine feasts under a summer sun near Juneau Alaska. 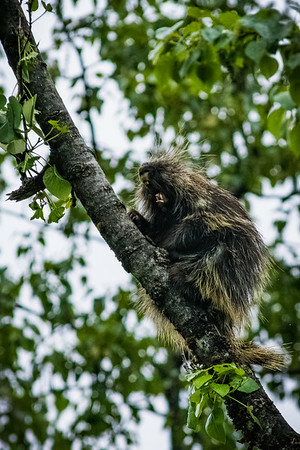 An Alaskan Porcupine lets go a yawn after a hard days work near Juneau Alaska. 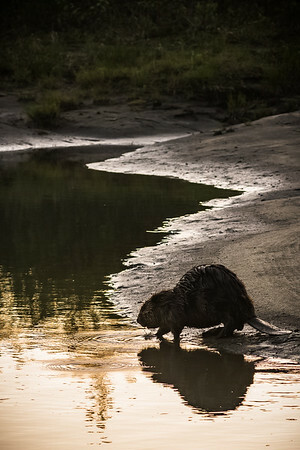 A beaver descends into Mendenhall lake at sunset near Juneau Alaska. 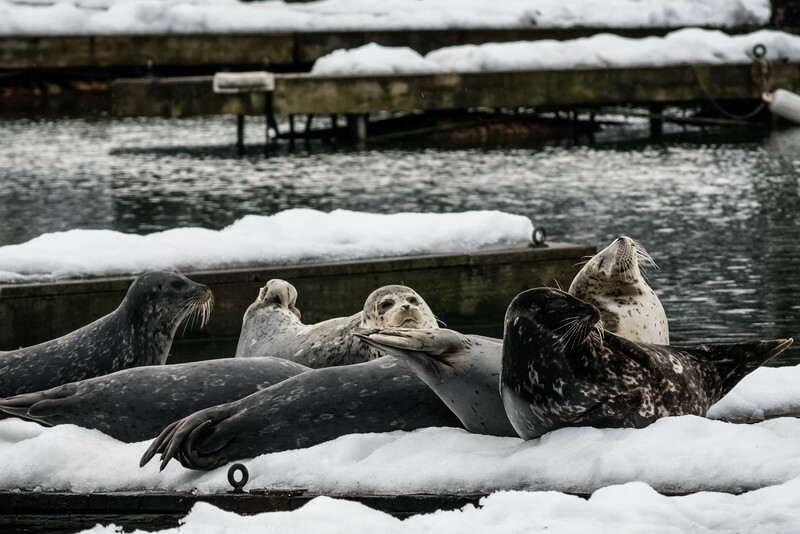 A group of Harbor Seals bask in the winter sun near Juneau Alaska. 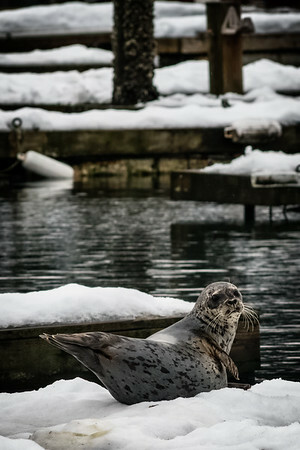 A Harbor Seal reclines on the docks near Juneau Alaska. 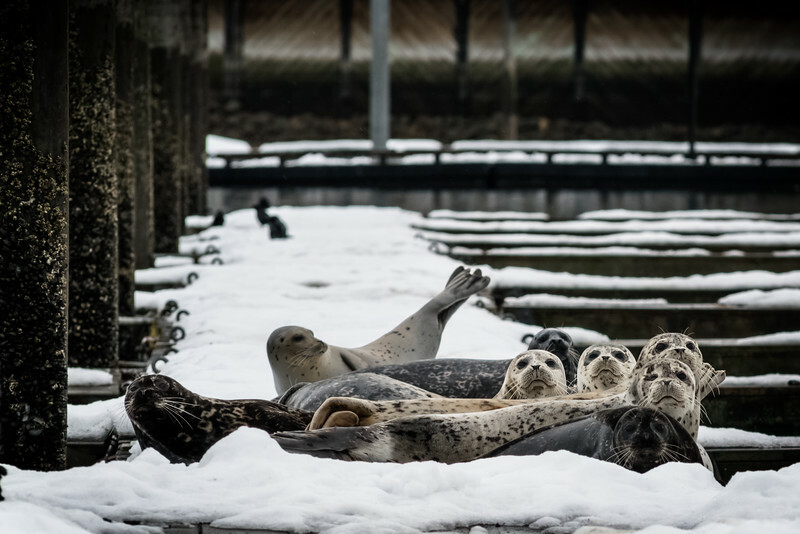 A group of Harbor Seals observe their human visitors with uncertainy.